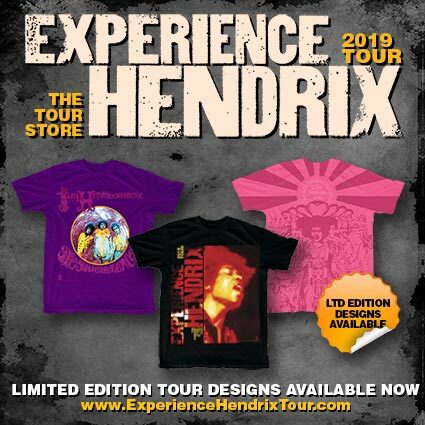 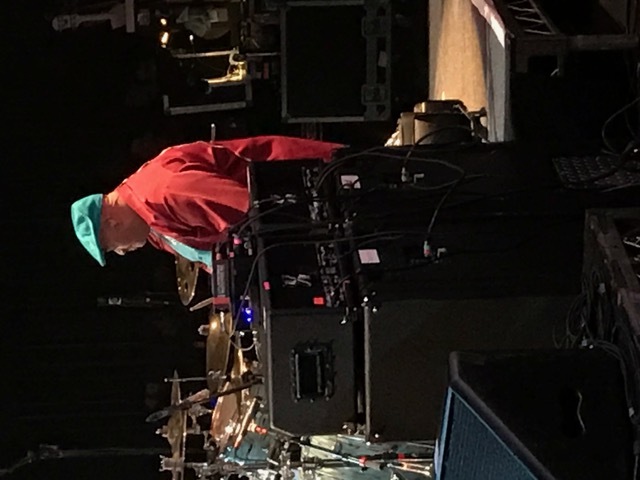 NOTE: Tim Austin is not scheduled to perform during the 2019 Tour. 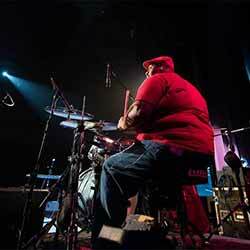 As a small child, Tim "Awesome" Austin started beating out rhythms on old empty cans from the paint factory behind the house, using tree branches for drum sticks. 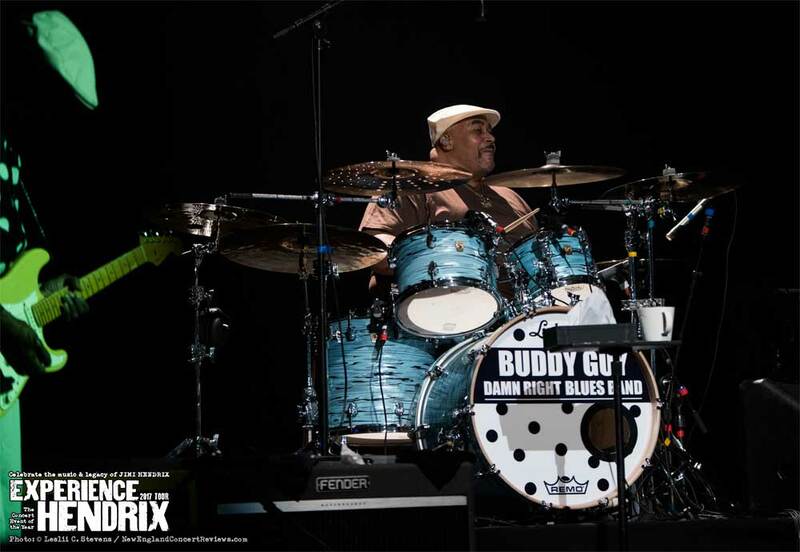 After seeing James Brown and Jackie Wilson perform at Chicago's Regal Theatre, Tim was inspired beyond belief and finally got his first real set of drums in 1964. 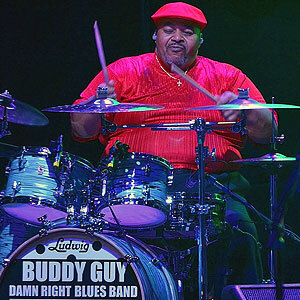 When he was only 20, this young prodigy was discovered by the legendary Pops Staples, and he played for the Staple Singers for 25 years, eventually becoming their band leader. 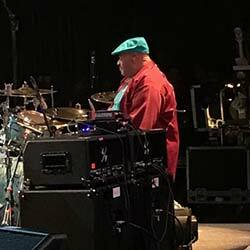 The list of performers Tim has played for is like a who's who in the world of Blues. 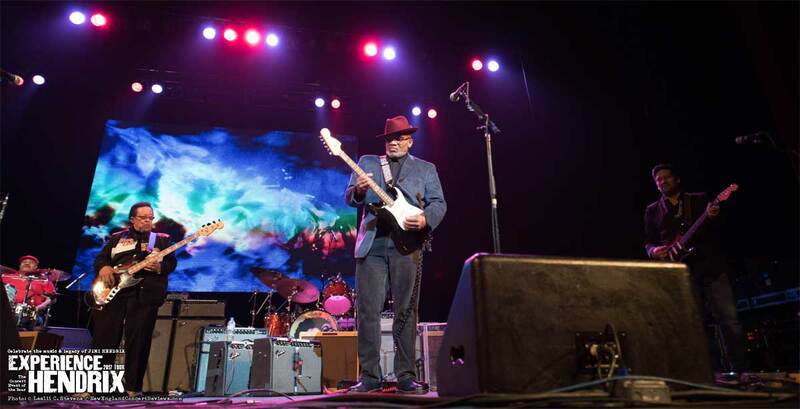 Otis Rush, Eddie "The Chief" Clearwater, Luther Allison, James Cotton, Junior Wells, Big J. McNealey, John Mayer, Warren Haynes, Carlos Santana, Nellie "Tiger" Travis, Billy Branch, Sugar Blues, Phil Guy... and the list goes on and on. His handy work can be heard on many of the world's finest Blues performers, past and present. 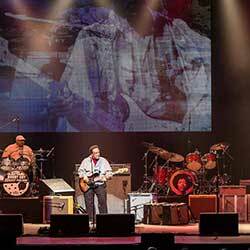 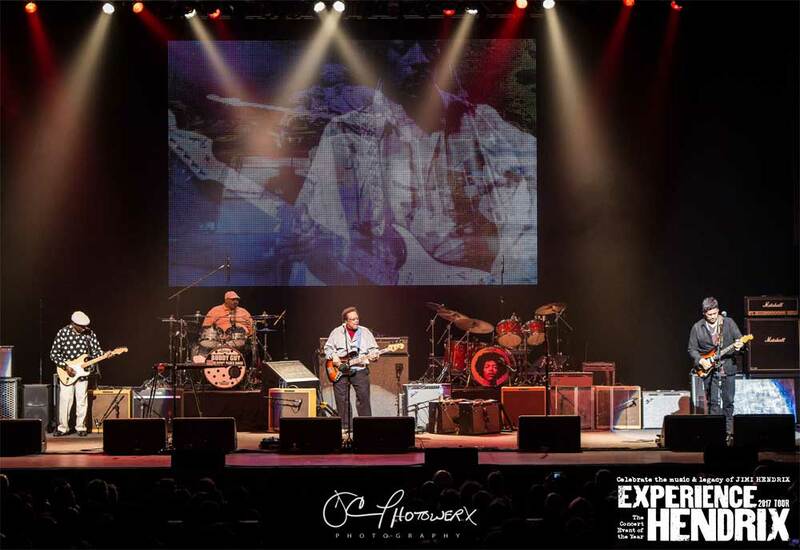 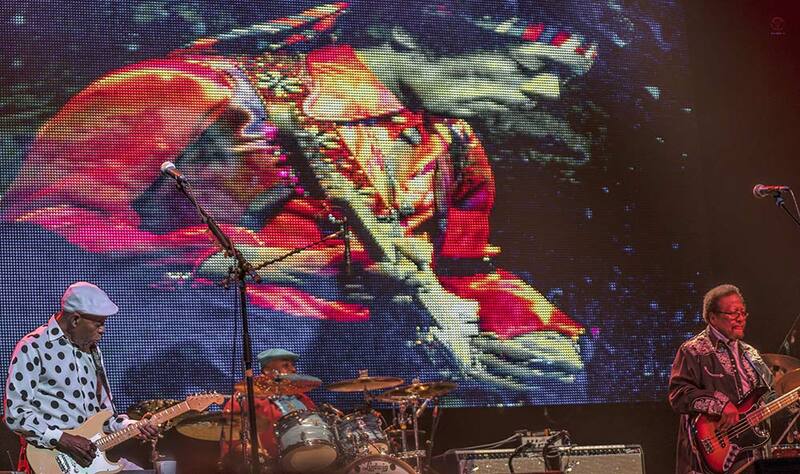 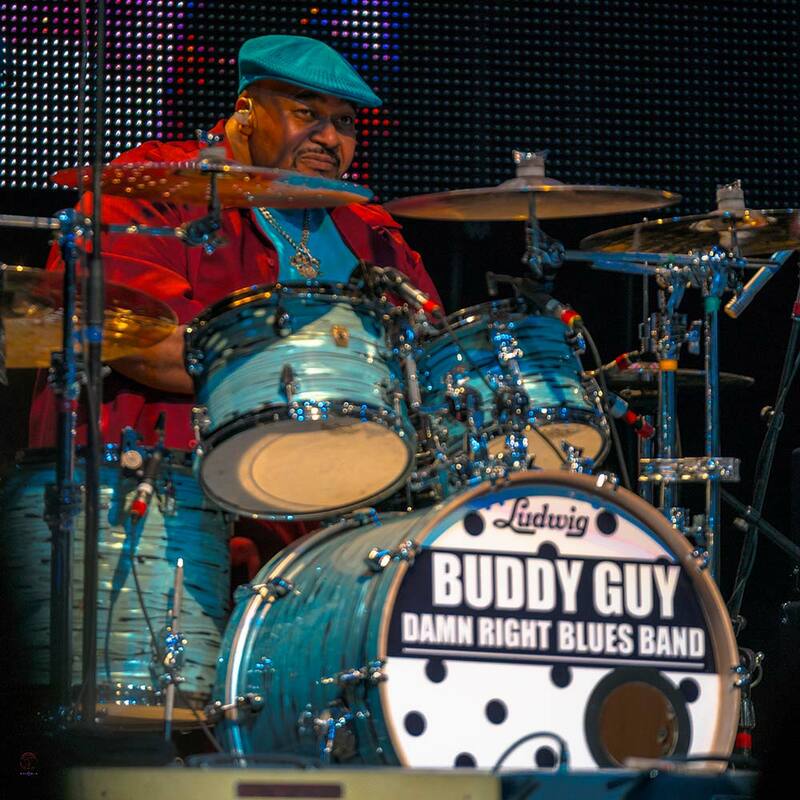 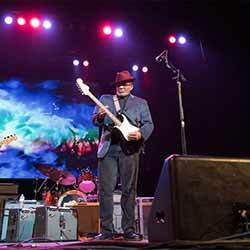 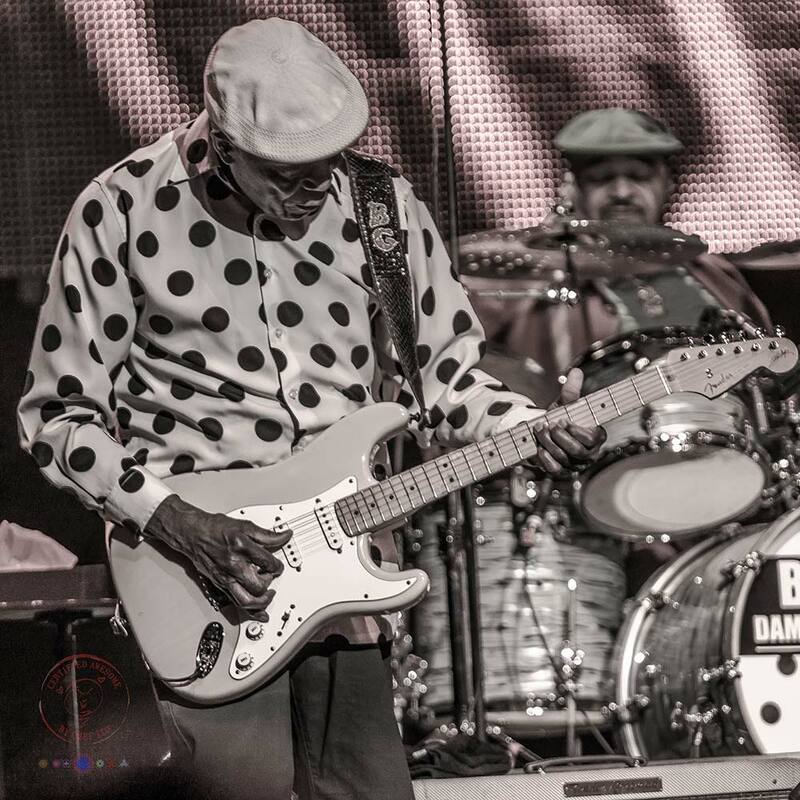 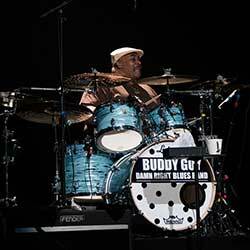 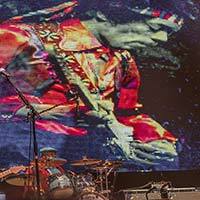 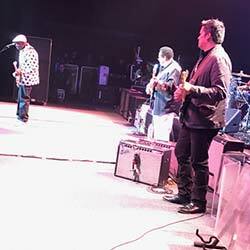 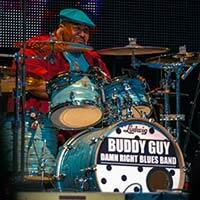 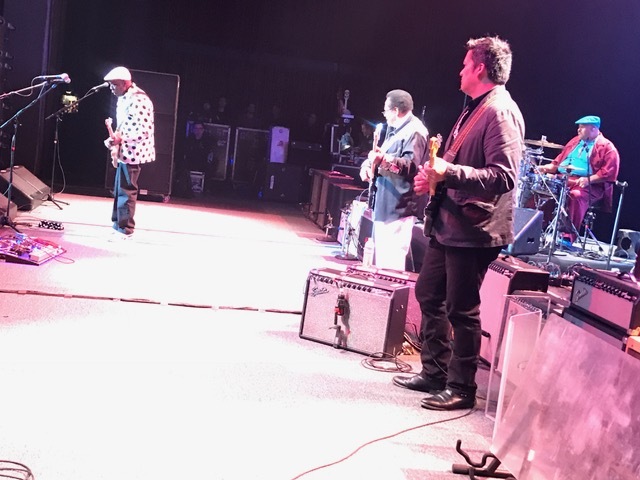 Tim "Awesome" Austin is presently touring with Blues great and Hall of Famer, Buddy Guy.